Sarah read 51 books of their goal of 50! 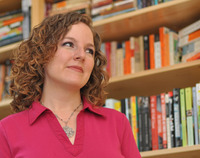 Sarah Ockler is the bestselling author of six young adult novels: The Summer of Chasing Mermaids, #scandal, The Book of Broken Hearts, Bittersweet, Fixing Delilah, and Twenty Boy Summer. Her books have been translated into several languages and have received numerous accolades, including ALA's Best Fiction for Young Adults, Girls' Life Top 100 Must Reads, Indie Next List, and nominations for YALSA Teens' Top Ten and NPR's Top 100 Teen Books. Sarah is a champion cupcake eater, tea drinker, night person, and bookworm. When she's not writing or reading at home in New York City, she enjoys taking pictures, hugging trees, and road-tripping through the country with her husband, Alex. Visit her website at sarahockler.com or find her on Twitter or F Sarah Ockler is the bestselling author of six young adult novels: The Summer of Chasing Mermaids, #scandal, The Book of Broken Hearts, Bittersweet, Fixing Delilah, and Twenty Boy Summer. Her books have been translated into several languages and have received numerous accolades, including ALA's Best Fiction for Young Adults, Girls' Life Top 100 Must Reads, Indie Next List, and nominations for YALSA Teens' Top Ten and NPR's Top 100 Teen Books. To ask Sarah Ockler questions, please sign up. We’d love your help. Let us know what’s wrong with this preview of Wings of the Walker by Coralee June. We’d love your help. Let us know what’s wrong with this preview of Persuasion by Jaymin Eve. We’d love your help. Let us know what’s wrong with this preview of Seduction by Jaymin Eve. We’d love your help. Let us know what’s wrong with this preview of Pack Ebon Red by C.M. Stunich. Sarah has read 2 books toward their goal of 55 books. We’d love your help. Let us know what’s wrong with this preview of Self-Publisher's Legal Handbook, Second Edition by Helen Sedwick. We’d love your help. Let us know what’s wrong with this preview of Dragon's Tears by Eva Chase. Which book would you like to read for our February Monthly Theme Selection? Jacqueline wrote: "Thank you so much for accepting my friend request! I am obsessed with your books! The Book of Broken Hearts is up next on my To-Read list! :)"
Erin wrote: "First of all, thank you for being friends with Jessi Kirby! I am now so excited for her book, and am hoping to get an ARC for my blog. Secondly, I'm getting ready to import all of my reviews of yo..."
Yay! Thank you so much for this, Erin! And yes, Jessi is awesome, and her books are awesome. I think you'll really love Things We Know By Heart! First of all, thank you for being friends with Jessi Kirby! I am now so excited for her book, and am hoping to get an ARC for my blog. Secondly, I'm getting ready to import all of my reviews of your books on my blog! I can't wait for more people to be able to see what I think of your awesome books! I am so looking forward to this retelling of The Little Mermaid. Can it be summer 2015 already? Sarah, I finished The Book of Broken Hearts last night. I was amazed at how well you represented what Alzheimer's can do to a family. My grandma suffered from dementia, so I really related to Jude on that level. It was wonderful. Thank you for such a great book. Sarah wrote: "Erin wrote: "Is there a reason why The Book of Broken Hearts isn't available in Barnes and Noble stores? I went there, and asked where to find it, and they said it's not going to be in stores." 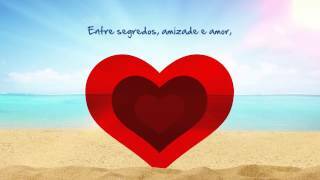 I just started reading The Book of Broken Hearts, and I am loving it! The little pieces of Spanish really make it interesting. I can't wait to see how the book ends! Miranda wrote: "Thank you so much for accepting my friend request! I'm so excited to read #scandal :)"
Erin wrote: "Is there a reason why The Book of Broken Hearts isn't available in Barnes and Noble stores? I went there, and asked where to find it, and they said it's not going to be in stores." Is there a reason why The Book of Broken Hearts isn't available in Barnes and Noble stores? I went there, and asked where to find it, and they said it's not going to be in stores. Brandy wrote: "thank you for accepting my request. you are an amazing writer and your stories are an inspiration"
You're so welcome, Brandy! So glad you enjoy the stories, and so glad you found me here. :-) I hope you're having a great weekend! I loved your books, Bittersweet, Twenty Boy Summer, and Fixing Delilah! Twenty Boy Summer... I cried a lot through out it. It just felt so rea..."
Natalie wrote: "Just wanted to say thanks for accepting my friend request! I really love your writing, and I love how much you interact with your readers. Keep up the good work." Hi Natalie! Thanks so much for your note and your kind words about my writing. :-) Nice to meet you here! Just wanted to say thanks for accepting my friend request! I really love your writing, and I love how much you interact with your readers. Keep up the good work. I just wanted to say I LOVED Bittersweet. It was so so insightful. It's so rare that I give out 5 stars, but Bittersweet earned it from me :). Emmah wrote: "Thanks for accepting my friend request (: I read your book Fixing Delilah a week or so ago. And I just got done reading Twenty Boy Summer today. I absolutely love your books. I think it's cool that..."
Aww, thanks Emmah! I'm so glad you loved Fixing Delilah and Twenty Boy Summer! I hope you enjoy Bittersweet just as much. :-) I hope you're having a great weekend! I'm definitely going to recommend the books to my friends! Jasprit wrote: "Hey Sarah thanks for accepting. I finished Bittersweet the other day and absolutely adored it. Can't wait to read more of your books! :)"
Thanks for accepting my friendship, Sarah. Hi Sarah - Thank you for your friendship! Hope you're feeling great and see you online (the night shift of course!). Sarah wrote: "Hey Sarah! Thanks for the add. =D"